Many systems and provider groups think they are handling patient receivables management well, but the reality is that most of them have a very antiquated patient revenue cycle management strategy. In today’s medical landscape, a proactive approach is not just preferred, it is essential. 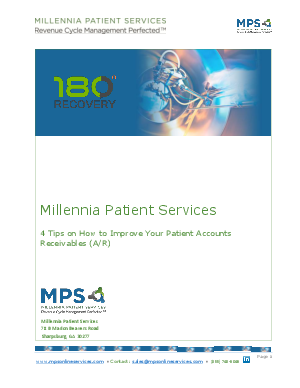 In this whitepaper, you will learn 4 tips to significantly increase patient payment revenue.